A new and more luxurious Palace on Wheels is here to take you on a magical trip of Rajasthan. This new luxurious train is the Royal Rajasthan on Wheels. Launched by the Rajasthan government and Indian Railways, Royal Rajasthan on Wheels is meant to give more and more tourists a luxurious ride through the royal state of Rajasthan. Very little modifications in the route means that travellers have an opportunity to enjoy the same destinations as covered by Palace on Wheels with more luxury on board. This also means that those who have already had an opportunity to travel on the Palace on Wheels, have something different to experience on this journey. As stated above, the new Palace on Wheels or the Royal Rajasthan on Wheels is more luxurious than the existing one. First, the number of passengers that are allowed in RROW (82) is less than the Palace on Wheels (130). Also there is no provision for triple occupancy in this new train; only double occupancy option is available. One Super Deluxe Saloon and one spa car are additional luxuries that are offered in this train. Two Restro Lounges (Bar) are there for those who enjoy delicious food and drink. Delhi The luxurious Royal Rajasthan on Wheels takes you through a seven day exploration of the vibrant Rajasthan. The magic of the splendid journey begins at New Delhi and prepares you to weave the fabric of delightful imagination becoming reality over the next seven days. 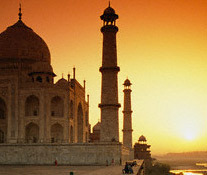 Your royal journey begins from Delhi and takes you through various erstwhile princely states. Welcome on board at Delhi with the ceremonial greetings at the safdarjung station with traditional aarti and tika with garlanding and some mock tails to refresh your selves. After check in, you would be escorted to the respective cabins. Feel the difference of the World in the moving Palace which empowers luxury and tradition hand to hand. Jodhpur the second largest city of the state of Rajasthan is famous for its magnificent Meharangarh fort. Another example of Rajput glory is the Jaswant ii in 1899. Lunch at the fabulous 5 star hotel & dinner on board. Water marked by whimsy & splendor, the Venice of the holds stage as one of Indias truly seductive cities. Udaipur is an international destation unto itself, packed with princeliness & passion, Udaipur is raw Rajput dreaming, with palaces, haveils gardens & temples at every turn. Visit to the beautiful princely city palace. Lunch at 5 star hotel & in the afternoon followed by a trip to crystal gallery. The story is a saga of valor, tenacity & sacrifice. The fort of Chittorgarh is a treasure trove of history & offers to the traveler an insight into the life of the great Rajput rulers. The victory tower or Vijay Stambh is one of the main tourist attractions of the fort. Gaumukh reservoir & the palace of queen Padmini are important spots to the south of the Rana Kumbha palace. The light & sound programme is shown at the fort. Dinner on board/ Hotel Panna with cultural programme. Located in the eastern part of Rajasthan, Sawai Modhupurs claim to fame today is the Ranthombore fort & Rathambore national park. Visit the national park to catch a glimpse of the majestic tigers roaming around in the open wilderness & also pay a visit to the imposing fort to turn a page in the history of Rajasthan. There is also a temple on route the park by the name of Amareshwar Mohadeo temple which can be visited by tourist. Lunch on board. Welcome by caparisoned elephants & sweet music of the auspicious Shehnai. Watch the awesome Hawa Mahal (the palace of winds), elephants ride at amber fort, shopping of centuries old object de arts & other items. Lunch at a 5 star hotel / on board & visit to the city palace residence of the erstwhile maharaja of Jaipur which houses a museum of amazing centuries-old artifacts & the observatory built by the founder of jaipur maharaja Sawai jai Singh-ii who himself was noted astronomer. Dinner hotel jai Mahal palace with cultural program. The 9th to 12th century temples of Khajuraho is the evidences of the architectural geniuses during the times of chandela dynasty. situated in Madhya Pradesh, India, Khajuraho oozes with passion, eroticism, dance & music & other finesses of creative arts depicted in sculpture & images of the temples were built in north Indian Nagara style of architure, though only 20 of them have survived the rough weather conditions over long years of time. Guest will take on visit of temples & museum. Lunch at 5-star hotel & dinner on board. Varanasi is the oldest city of the world. Varanasi is more than 3000 years old & is famous as the city of temples. In Varanasi, there are temples at every few paces. Jyotirlinga Visvanatha temple or golden temple, rebuilt in 1776, is dedicated to the lord Shiva. The Jnana Vapi well (meaning well of wisdom) is believed to have been dug by lord Shiva himself. The Ganga Ghats (river front) are the most popular pilgrimage spot of Varanasi & are centers of music & learning. The holy city has been a symbol of spiritualism, philosophy & mysticism for thousands of years & has produced great saints & personalities like Gautama Buddha, Mahavira, Kabir, Tulsi das, Shankaracharaya, Ramanuja & Patanjali. Lunch at 5-star hotel & dinner on board. Sightseeing include visit to Ghats, Maha Aarti, temples & Buddhist Temples at Saarnath. 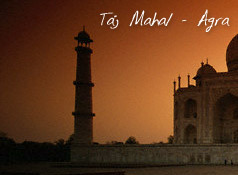 Agra is one of the prominent destinations of the world tourism map with three heritage monuments. It is a vibrant centre of culture, art & religious philosophies that have enriched mankind & shaped human thought over centuries. Agra is famous for handicrafts products such as Inlay work on marvel, leather work, footwear, brass-wear, carpets, Jewellery, Zari & embroidery work. Lunch at 5-star hotel & dinner on board. » 50% of tariff for children between 5 years and 12 years of age. » Govt. Service tax and commerical tax US$ 15 per person extra as applicable. » 10% of tariff for infant upto 5 years of age. » There will be a 10% surcharge levied on the tariff for the trips falling during Christmas and New Year. Tariff is inclusive of cost of travel and accommodation, catering (morning tea, breakfast, lunch, evening tea and dinner), conducted sightseeing tours in deluxe coaches, entrance fee for monuments and palaces and cultural entertainment. Tariff does not include liquor, laundry, video camera and other item of personal nature. » Remaining 80% of ticket value 60 days prior to departure of the tour. » 50% of ticket value at the time of confirming the booking. » Remaining 50% of ticket value 60 days prior to departure of the tour. » 5% of ticket value 60 days or more prior to departure. » 20% of ticket value between 45 to 59 days prior to departure. » 50% of ticket value between 30 to 44 days prior to departure. » 100% of ticket value 30 days prior to departure. » 20% of ticket value 89 days prior to departure. » 50% of ticket value between 88 to 31 days prior to departure. » No Show - In case of No Show / Non-arrival of the guest, no refund or adjustment in future travel will be possible. The whole amount shall be treated as forfeited. » En route termination of tour - In case of termination of tour by the guest, for any reasons, no refund or adjustment for future travel will be possible. The amount for unused portion of the tour shall be treated as forfeited. » Amendment - Is only possible under the circumstances like Natural Disaster / Natural Calamity or Serious Health Problem's (this needs to be supported by doctor's certificate) and is subject to availability. No refunds are possible and every case be decided on merits on a case to case basis.